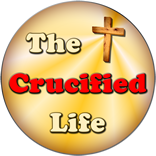 HomeThe Crucified Life Ministries BlogDo You Find Trouble Lurking at Every Door? We have all had trying times when we ask God why? Gideon was no different. He asked God “why?” in the midst of tumultuous times swirling in the air about him. Gideon was residing in the Promised Land having been removed by God from the sinful land of Egypt, but turmoil seemed to hem him in from all sides. To Gideon, these circumstances did not seem as if they were befitting for anyone living in the Promised Land. The Promised Land was to be a land filled with milk and honey rather than trials and heartache. Gideon expected for his life to be overflowing with goodness rather than brimming with trouble. He felt God had deserted him and left him and others bound in captivity with the Midianites who were evil dark people. 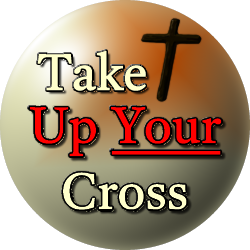 We all have times in our lives when it seems God has deserted us as we find trouble lying in wait at every door and captivity of sin lying around the next corner. It is in theses tough times that we need to remain steadfast in seeing God despite the circumstances at hand. Dark and troublesome times may seem to surround us on all sides, but God is still in control.